She's strong! 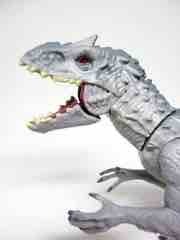 The Hasbro Jurassic World Indominus Rex Action Figure is a big mean raptor with extra parts. So read on, and come back tomorrow for more! Ad: Get New Hasbro Marvel Legends, Star Wars, and Transformers plus Jurassic World Dino Hybrids at Entertainment Earth! Pre-orders for a ton of items are live now, and please take advantage of free shipping on select items. 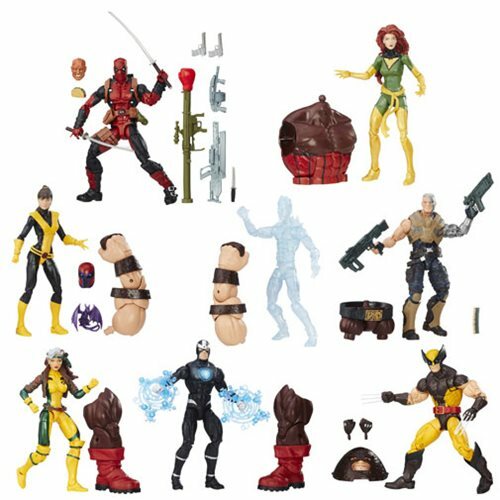 Also Pre-Order X-Men Marvel Legends 6-Inch Action Figures Wave 1 from Entertainment Earth! 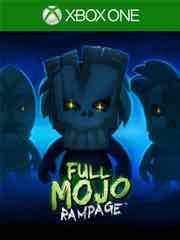 New to the Playstation 4 this week: Art of Balance, Dangerous Golf, Dead Island Definitive Collection, Full Mojo Rampage, Hard Reset Redux, Kick & Fennick, Neon Chrome, Oxenfree, Paranautical Activity, Plague Inc: Evolved, Score Rush Extended, Shadow Blade: Reload, There Came an Echo, and One Piece Burning Blood. 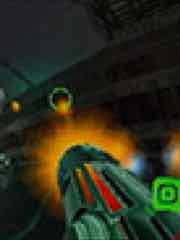 New PS2 classic games this week: Primal. 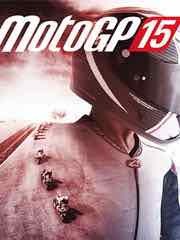 New to the Playstation 3 this week: MotoGP 15. 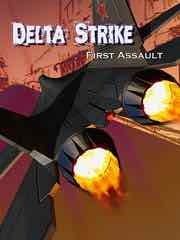 New to the PSP Vita this week: Delta Strike: First Assault, Paranautical Activity, and One Piece Burning Blood. Tentacles! 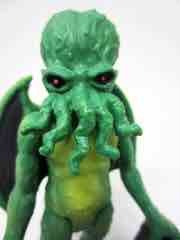 The Warpo Toys Legends of Cthulhu Spawn of Cthulhu Action Figure is pretty amazing, expensive but amazing. So read on, and come back tomorrow for more! 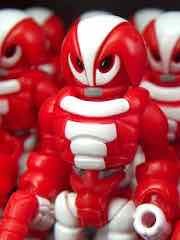 Via the Glyos News Dump: More Onell Design Sunday - 9:30 PM Eastern, Be There . The "what" has yet to be revealed, so stay tuned for more of that. Via EW: Transformers, G.I. 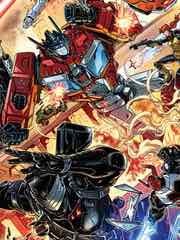 Joe, and other Hasbro characters come together for IDW's Revolution. It's a little insane, and the sorta-maybe-a-reboot incorporated Kenner, Parker Bros., Mego, and Hasbro properties of old - some of which are before my time. G.I. 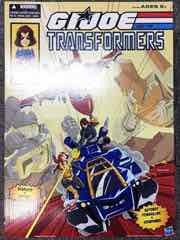 Joe, Transformers, Micronauts, ROM, Action Man, and M.A.S.K. are in so far. Considering these should take place in the existing Transformers stories - where like 1 in 7 humans were killed off during All Hail Megatron and humanity is basically trying to purge Cybertronian invaders from Earth - well, some of it kinda fits pretty well. 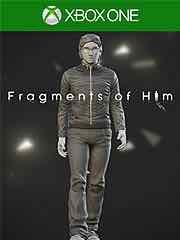 "In Fragments of Him you experience the lives of four people connected by love and a tragic accident. You walk alongside Will on his last morning and discover the meaning of his final thoughts. With Mary, Will's grandmother, you learn about his childhood, their conflict, and how they ultimately reconciled some of their differences. Sarah was Will's girlfriend and first love. She tells us how she found a deeper understanding of herself during their time together. And finally, Harry is Will's partner when the accident happens." Also available: Dead Island Definitive Collection, One Piece: Burning Blood, 7 Days To Die, and TurnOn. Hound! The Hasbro Transformers Generations Combiner Wars Autobot Hound was a favorite of many a fan, and now he can be a leg or an arm. So read on, and come back tomorrow for more! Ad: X-Men Marvel Legends 6-Inch Action Figures Wave 1! This group lets you build a big Juggernaut - and includes Deadpool, Wolverine, Phoenix, and so many more. Be sure to snag yours now! Free shipping in the USA! 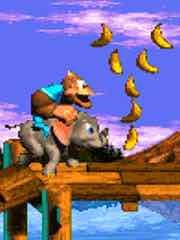 The New 3DS retro library has Donkey Kong Country 3: Dixie Kong's Double Trouble from the Super NES. This week's batch of titles on the eShop: Sssnakes. Up for the Nintendo Wii U retro library: Metroid Prime: Hunters from the Nintendo DS. Friend to children! 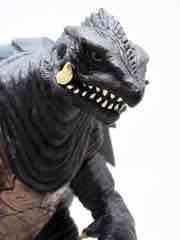 The BanDai Gamera Heisei Gamera Action Figure is a grim and gritty flying turtle from Japan. So read on, and come back tomorrow for more! Via ACToys: G.I. Joe and the Transformers 2016. The latest on the ongoing and generally criminally underproduced boxed sets has been revealed via a leak, thanks in part to many (most) toy manufacturers neglecting to announce their own exclusives in April or May like in previous years. This one includes a DTC HISS Tank as Soundwave, a Rattler as Powerglide, plus Scarlett and Zartan figure. If you want this set, and you're not going to San Diego next month, many sorrows will be upon you. Also, Mezco's got a plush Snarf. John Boyega Cast in Pacific Rim 2! Get a leg up! The Hasbro Transformers Generations Combiner Wars Breakdown will scramble your city and get up some robots in disguise. So read on, and come back tomorrow for more! Via The Outer Space Men News blog: New Outer Space Men - Really! - Orbitron Diversus Special Edition. The last new releases shipped February 2014, so it was looking like the line had ended. 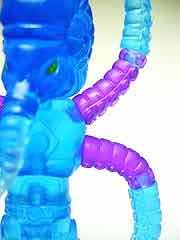 Well, here's a new one - Orbitron Diversus takes the existing mold and gives it (more or less) This Island Earth Metaluna Mutant colors. It was $18, and it sold out, because it was too beautiful for this world. I hope you got yours. 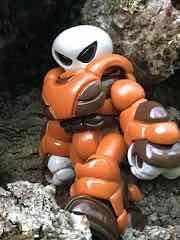 A Crayboth companion figure in the same colors was also sold. 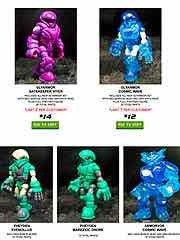 Via the Glyos News Dump: Glyos Onell Design June 6 2016 Drop Menu. 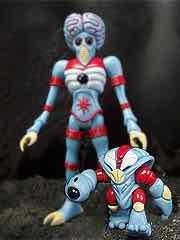 The first new Outer Space Men figure in over a year was made available, as were several other pretty nice figures. (Yes Orbitron sold out.) Chariot's Keep is a good one - so check it out! 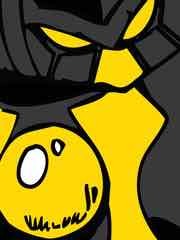 Also, it's been a while, but there's a new Glyos comic too! Things are coming up nicely. Ad: Get the Space Ghost Glow-in-the-Dark 1:12 Collective Action Figure - Entertainment Earth Exclusive now! 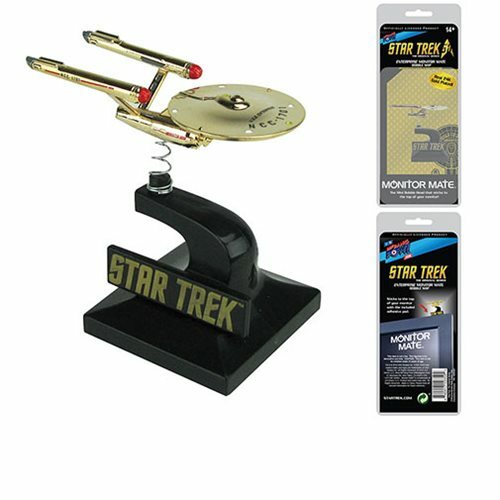 Free shipping in the USA, $70, and due in December. Wowie zowie! Fans from coast to coast will want this Space Ghost. Order yours now! King of the Underground! 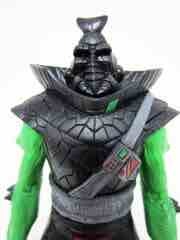 The Mattel Masters of the Universe Classics Ceratus is a big mean reptile man. So read on, and come back tomorrow for more! 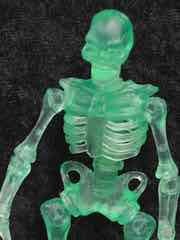 Via the Glyos News Dump: New Skeleton Warriors - Jade Green. 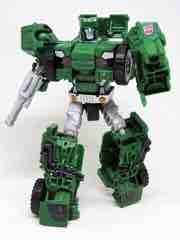 Apparently some news got out of PowerCon, and these green dudes will be up for grabs in a few days (so says ToyHypeUSA). Neato! 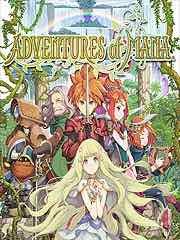 New to the Playstation 4 this week: STEAMWORLD HEIST, SOUL AXIOM, ODIN SPHERE LEIFTHRASIR, MIRROR�S EDGE CATALYST, GUILTY GEAR XRD -REVELATOR, FENIX FURIA, BROKEN BOTS, ATELIER SOPHIE ~THE ALCHEMIST OF THE MYSTERIOUS BOOK~, and ANIMA: GATE OF MEMORIES. 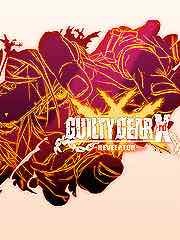 New to the Playstation 3 this week: GUILTY GEAR XRD -REVELATOR- and ODIN SPHERE LEIFTHRASIR. 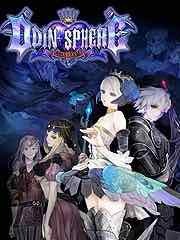 New to the PSP Vita this week: ODIN SPHERE LEIFTHRASIR, ATELIER SOPHIE ~THE ALCHEMIST OF THE MYSTERIOUS BOOK~, and STEAMWORLD HEIST. Gnip gnop! 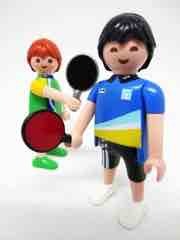 The Playmobil Sports and Action Table Tennis Players has no ball, no table, and two paddles. So read on, and come back tomorrow for more! Via the Brick Inquirer: Retailer Begins to List LEGO Dimensions Series 2 / Year 2 Packs... Spoilers Ahead!. Since they're treating these as spoilers, we will too - but there are several new (and very old but new to LEGO) items here, and it's worth seeing. Better get the old sets on markdown now! 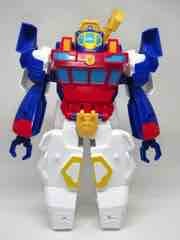 Via TakaraTomy Mall: UW-EX Lynxmaster. 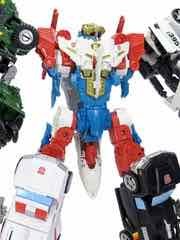 It's a remixed Sky Reign, incorporating Sky Lynx with Ratchet, Trailbreaker, Hound, Wheeljack, and new accessories. The deco has been changed up a bit as well. 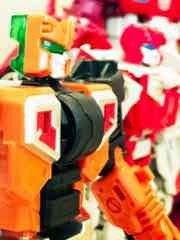 The set will be around $160 at importers, so you may want to get one if you missed BotCon Ratchet. 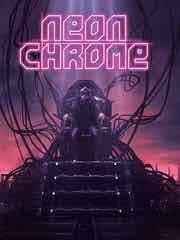 "Neon Chrome is a ruthless top-down cyberpunk shooter with rogue-like elements. Blast your way through enemies and walls with guns and cybernetic abilities. Experiment with different roles like the Hacker or the Cyber Psycho. Upgrade your character stats, discover new cybernetic enhancements and build up strength. Every death is a new beginning � the path to stopping the Overseer is never the same." Also available: In Between, HeartZ: Co-Hope Puzzles, Color Symphony 2, Mirror�s Edge Catalyst, Minecraft: Story Mode � Episode 6: A Portal To Mystery, Fenix Furia, and Soul Axiom. Chomp! 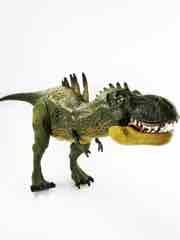 The Hasbro Jurassic World Hybrid Tyrannosaurus Rex Action Figure adds screams, spikes, and green to the big creature. So read on, and come back tomorrow for more! 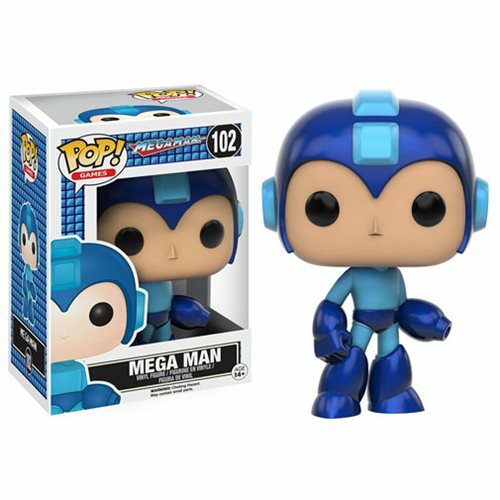 Ad: Mega Man Pop! 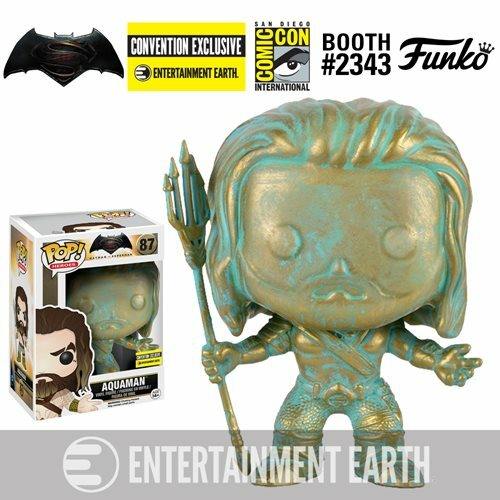 Vinyl Figures are coming! 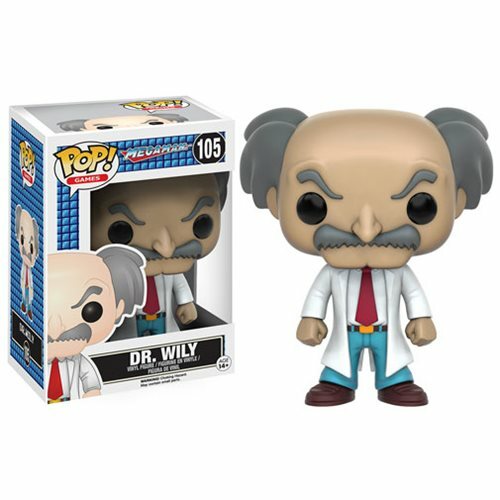 Dr. Wily joins forces with, well, no one against Mega Man, Protoman, and Rush. They're due in August. Be sure to snag yours now! You'll be sorry if you don't. This week's 3DS offerings: Dan McFox: Head Hunter and Puzzle Labyrinth. 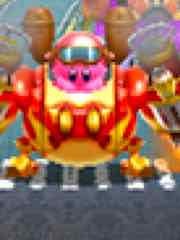 And Kirby: Planet Robobot. This week's batch of titles on the eShop: Olympia Rising. Up for the Nintendo Wii U retro library: Wario: Master of Disguise from the Nintendo DS. Science! 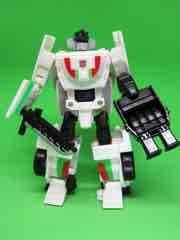 The Hasbro Transformers Generations Combiner Wars Wheeljack is a newish take on one of the Autobots' greatest minds and inventors. So read on, and come back tomorrow for more! 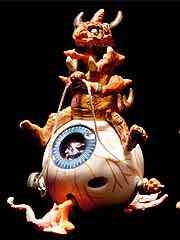 Via the Outer Space Men news blog: Overview: Astro-Nautilus Thus Far. Because there was actually a new figure delivered over the weekend, it seemed like a good time to look back on this line - which is enjoying a brief vacation from obscurity. Several flavors of the space cephalopod have been released to date, and it's unknown if we'll ever see more. Depending on the price, I somewhat hope so - adding in some sort of prismatic paint would be loads of fun to replicate the chromatophores on the real-world squids. Take flight! 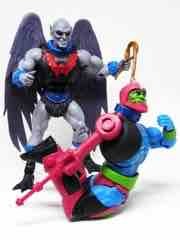 The Mattel Masters of the Universe Classics Vultak will choke you if you aren't careful. So read on, and come back tomorrow for more! 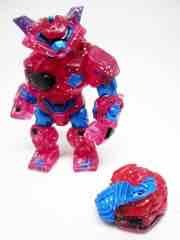 Via the Glyos News Dump: New Kabuto Mushi - A Princely Drop, June 17. New tampos, new colors, and more can be yours if you don't miss the drop later this week. Mark your calendars! 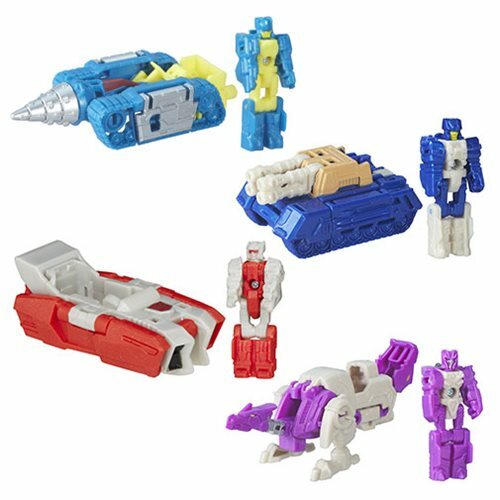 Ad: Pre-order the Transformers Generations Titans Return Toys now! Deluxe, Voyager, Leader, Titan Masters, and more are up for grabs! 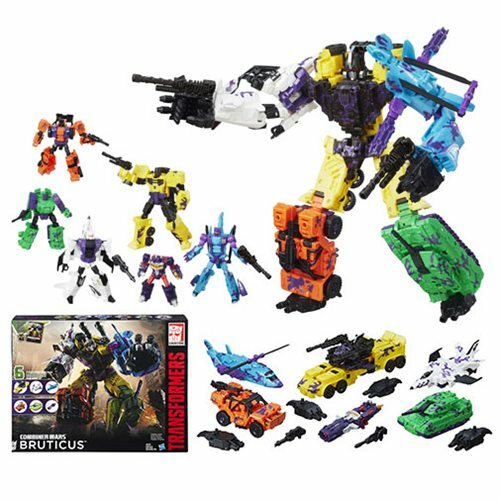 Also order Transformers Combiner Wars G2 Bruticus Combaticons Boxed Set from Entertainment Earth! These are expected in July and August. 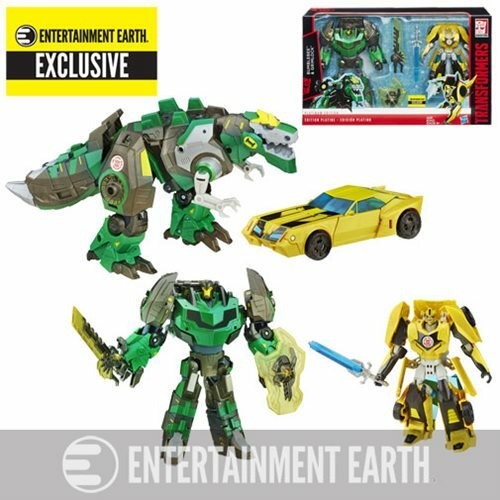 Click here to order Bumblebee & Grimlock at Entertainment Earth! Exclusive! The Hasbro Transformers Generations Platinum Edition Bumblebee & Grimlock is available to order today - so hopefully you ordered yours before it goes away. So read on, and come back tomorrow for more! Via Weibo/TFW2005: New In-Hand Images of Combiner Wars Computron. Due later this year, this set can be seen in all of its multi-hued glory. Scrounge joins the team and they all look like a lot of fun, until you realize you need both the US and Japan versions and this will all get expensive fast. Ad: In stock now! Get the Transformers Generations Titans Return Toys now! Deluxe, Voyager, Leader, Titan Masters, and more are up for grabs! 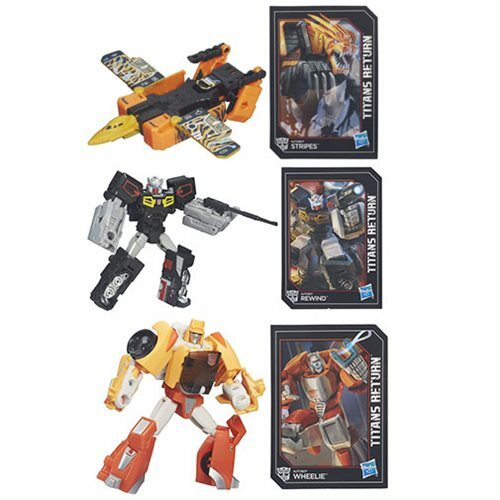 Also order Transformers Asia Kids Day Platinum Edition Robots in Disguise Premium Grimlock and Bumblebee 2-Pack - Exclusive from Entertainment Earth! If you don't, then you can have one. Order yours today - and get G2 Superion, G2 Menasor, and Victorion if you missed them! Think pink! The Onell Design Glyos Armorvor Neo Nonilla Action Figure has so much glitter. So read on, and come back tomorrow for more! Via the Mel Birnkrant: Mel Birnkrant's Wicked Wind-Ups. Once in a while I write people just to say hi, and Mr. Birnkrant informed me of this really weird - really awesome - line of wind-up things. I could describe it to you, but just read (and see) what he has for you. It's a line of Basic Fun toys form the early 1990s that you will want to buy now. He writes: "I can think of no logical reason why [Wicked Wind-Ups] should exist. Imagine a small naked demon, riding on a crawling eyeball." 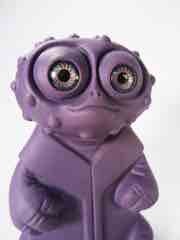 Mr. Birnkrant is famous for The Outer Space Men and numerous other toys, although many not necessarily by name. His is a great resource of toy history, including a lot of cool ideas that never made it out, so be sure to take a look. The Wicked Wind-Ups did see release and you can find some on eBay. Be sure to watch the video in his article - and then despair at some of the designs that didn't make it out. Via Infinite Earths: New Machine Robo Figures Revealed. These are the Masterpiece Go-Bots. The first batch got decent reviews, so if nothing else you should probably take a look at these. 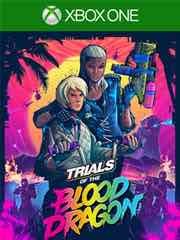 "Discover an epic single player experience, combining the top notch gameplay of Trials with the unique style and attitude of Blood Dragon. Take control of Rex Power Colt�s cybercommando kids as they drive, shoot, swing, tame and travel through different environments. Expect also hot competition with Ghost mode, Global Score and Leaderboards. 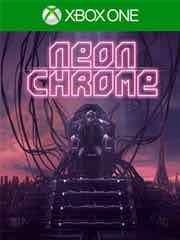 Features 30 missions across 7 different worlds, fully animated cut scenes, colourful characters and a self-contained story set 12 years after the events of Far Cry Blood Dragon." A medic with a hobby! The Hasbro Transformers Generations Combiner Wars First Aid adds a limb to Defensor, or could be placed on a shelf as part of the cast of More Than Meets the Eye comic books. So read on, and come back tomorrow for more! Found - at least, I found a whole case of Jakks Pacific World of Nintendo Series 2-2 on Friday at Toys R Us. I bought Samus and a nice fellow named Andrew bought a lot of the rest. Get hunting, you poor schmucks. Ad: The Twilight Zone 3 3/4-Inch Action Figures In Color - Convention Exclusive! Leonard Nimoy as a G.I. Joe, a dummy, a robot, and many more are up for grabs. Be sure to snag yours now! $14.99, they're due in July. 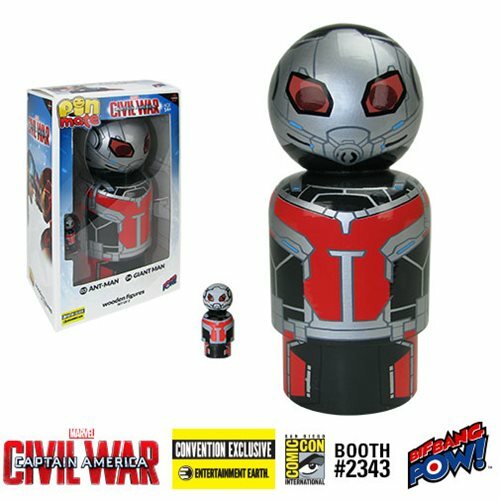 Via Toy News International: 2016 Joecon: The Exclusives. Chrome vehicles, jet packs, and Heli-Vipers are just some of the things that await you at what may be the final JoeCon in its current format. While Joe as a mainline product is quite dead, there are plans for more releases in 2016. The secrecy isn't very secret, so expect to hear about figures shortly and save money now so you can get yours later this year. Amidst all the new Star Wars and Titans Return and goodness knows what else happens in the rumored death throes of another collector line. This week's 3DS offerings: Run Run and Die and Twin Robots. And Terraria. 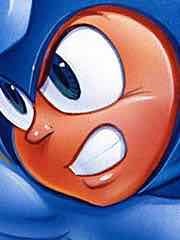 The New 3DS retro library has Mega Man 7 from the Super NES. This week's batch of titles on the eShop: Twin Robots and Run Run and Die. 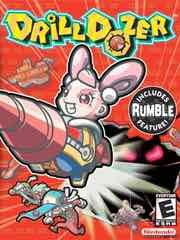 Up for the Nintendo Wii U retro library: Drill Dozer from the GameBoy Advance and Super Paper Mario for the Wii. Ghost Leader! The Takara-Tomy Transformers Unite Warriors Grand Galvatron is a group of mostly new guys that you're probably going to want. So read on, and come back tomorrow for more! Via Neowin: Hyperkin's Smart Boy brings a functional Game Boy slot to your Android smartphone. 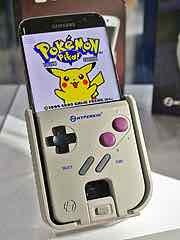 They say: "Some of you might be scratching your heads as to what the Smart Boy is, so we'll describe it as an enclosure for your smartphone, that transforms it into a functional Game Boy. And by functional, we mean it has an actual slot that you can stick a game cartridge in, that will load games to the phone." The ETA is December 2016. 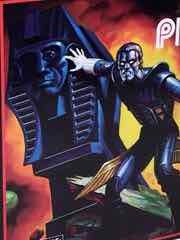 Via the Outer Space Men news blog: Overview: The Killer Xodiac . Because there was actually a new figure delivered over the weekend, it seemed like a good time to look back on this line - which is enjoying a brief vacation from obscurity. Via TFormers: Titans Return - Hands On Event In Taiwan Shows Off Wave 2 Figures Plus Exclusive Sticker Sheet. Upgrades for 2 Leaders, 2 Voyagers, and 4 Deluxes from wave 1 are included on this "not for sale" sheet which, as far as I know, has no known release plans outside Asia. 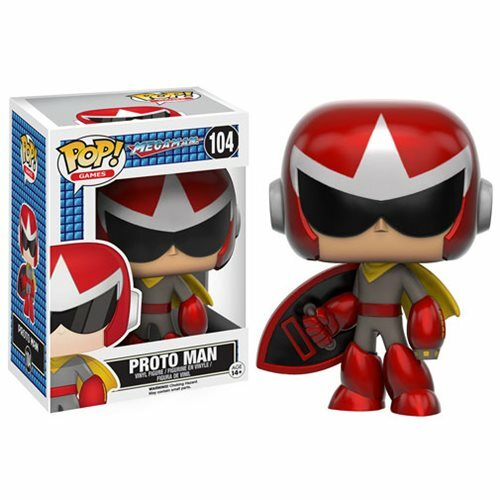 A shame, this would be one fantastic freebie at a store or a convention giveaway. 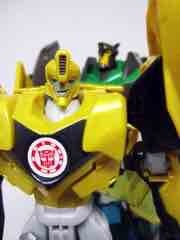 The same post will also treat you to great shots of wave 2 plus some comparisons to G1 figures. TFND's facebook has a gorgeous shot of the 4 Headmaster Autobots together for the first time. 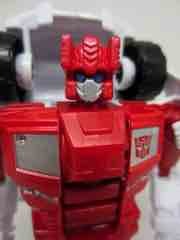 TRANSFORM - HEAD ON! We got a lot of news. You should ready it. Via HISSTank (and others from others): JoeCon 2016 Customizing Class Figure Announced. 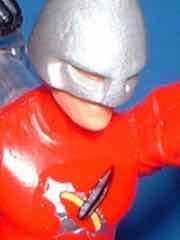 Bulletman - a weird chrome dude you don't know but should - was the prize. You had to bring legs, because the convention supplied hand-cast parts and waterslide decals for you amusement. A strange choice, but I have to say I love it. I wish I had one! Also JoeCon 2016 Hasbro Display Case Images For 2016 TRU [and Entertainment Earth] Line-Up. 5 2-packs and 2 3-packs are coming including a woman Cobra Officer, more zombies, a new BAT, Falcon, SAW Viper, Cobra Viper, Iron Grenadier, Tombstone, Duke, Stiletto, Heavy Duty, Shooter, and others. 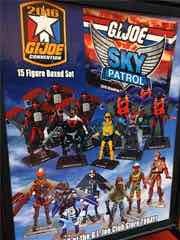 A JoeCon 2016 G.I.Joe Collectors Club Round Table FSS 5 Figure Line Up was also revealed, with some pretty interesting choices.Battle Corps Cobra Viper. Darklon. Shattered Glass Xamot. Z Force Gaucho. Female Cobra Troopers. And even some stuff for 2017. This was the biggest surprise of the show - Fun Publications/Productions renewed with Hasbro to keep the G.I. Joe program (but not Transformers) going. 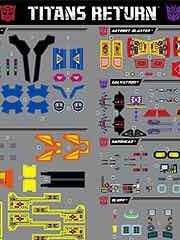 GeneralsJoes.com - a lovely resource - seems to indicate that this was a last-minute decision. I saw these on Amazon and boy howdy, are they nifty. Previous $10 Warp Pipe stands seemed cool, but not exactly a great value. This batch includes a wind-up 8-bit pillar of rotating flames from Bowser's Castle, The Master Sword's resting place - with Master Sword stylus, and my personal favorite, 8-Bit Donkey Kong Level 1 for $20. It's kind of nutty, but also pretty awesome. I'll probably be buying the Donkey Kong one even though I'm not entirely sure I have 9 opened Amiibo figures. Huge! The X-Plus Godzilla Garage Toy Titanosaurus 1975 Version is a massive figure with astonishing detail, and it comes in a box that looks like it was made in some dude's apartment. So read on, and come back tomorrow for more! Ad: Pre-order the 2016 Entertainment Earth Funko and Bif Bang Pow! Exclusives now! Aquaman, The Dude, Ant-Man, and more are coming - plus even crazier things only being teased! These are expected in July and August. And so is this one. Give Uncle Scrotor a Hug! Blue! The Onell Design Outer Space Men Orbitron Diversus sold out within a couple of hours, and it's just the first of a new wave of these guys hitting mailboxes over the next few months (or few years). So read on, and come back tomorrow for more! Via the Hollywood Reporter: Comic-Con: Hasbro to Revive 'Micronauts,' 'Visionaries' for Special Releases (Exclusive). Gorgeous box art from Ken Kelly keeps the 3 Micronauts together, and a new Visionaries Leoric Mighty Muggs figure is really happening. Exciting! Ad: Pre-order the Batman v Superman: The Jokers Wild Batman 19-Inch Big Figs Action Figure - Convention Exclusive now! 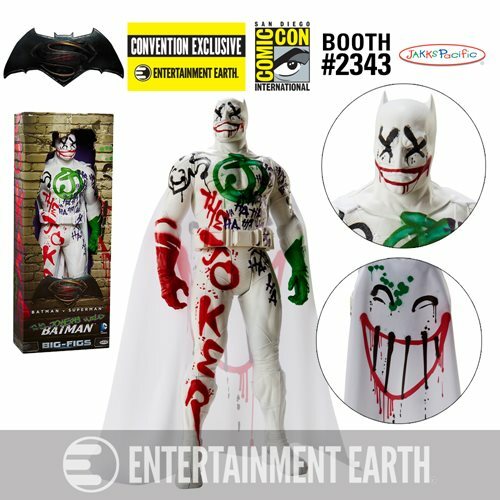 The Batman has been defaced by The Joker, and now it can be yours! 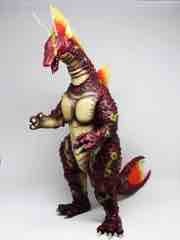 Due in July, this giant 20-inch action figure is awesome. 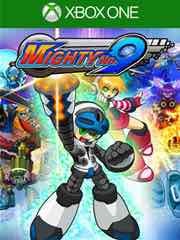 New to the Playstation 4 this week: Mighty No. 9, Pirates: Treasure Hunters, Umbrella Corps, Assemblance, Drawful 2, Dreamals: Dream Quest, Electronic Super Joy, Funk of Titans, Grand Kingdom, MXGP2~, and Pac-Man 256. 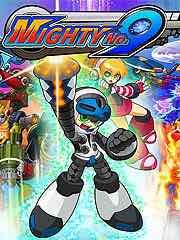 New to the Playstation 3 this week: Mighty No. 9. 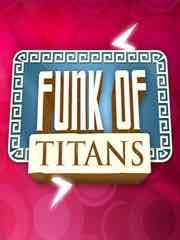 New to the PSP Vita this week: Funk of Titans and Grand Kingdom. Build it! 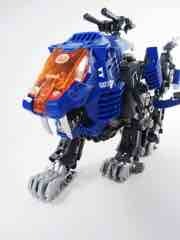 The Takara-Tomy Zoids Masterpiece Shield Liger takes a bunch of time to sticker and assemble. So read on, and come back tomorrow for more! 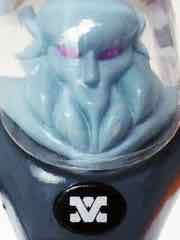 Via the Glyos News Dump: ToyFinity: Darkness Soliders and More Newness Friday. New parts, old parts, and so much red. Club Zeton members already had a crack at these, so the public gets their shot at 9:00 PM EDT on Friday of this very week. 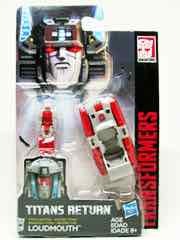 Ad - Transformers Titans Return In Stock Now? 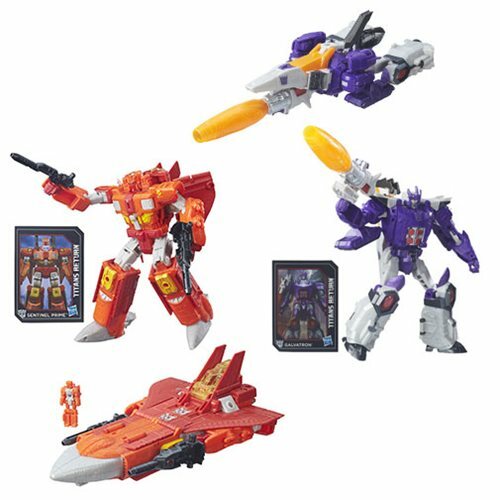 Ad: Get the Newest Titans Return and Exclusive Transformers now! Powermaster Optimus Prime, Grimlock, Blaster, Loudmouth, Terri-Bull, Crashbash, Bumblebee, and others can be yours - if you order them and also pay for them. Don't forget to take advantage of free shipping on in-stock items today. "You play as Beck, the 9th in a line of powerful robots, and the only one immune to a mysterious virus that has caused mechanized creatures the world over to go berserk. Run, jump, blast, and transform your way through 12 challenging stages using abilities stolen from your enemies to take down your fellow Mighty Number robots and confront the final evil that threatens the planet!" 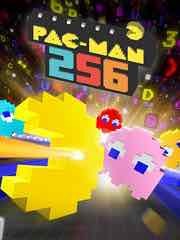 Also available: MXGP2, PAC-MAN 256, Deadlight: Director�s Cut, Drawful 2, Into The Belly Of The Beast, Land It!, and Lumo. Shall I Invest in Pounds? What a bonehead! 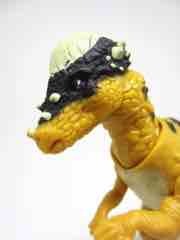 The Hasbro Jurassic World Pachycephalosaurus Action Figure seems to be the slowest seller from this nifty line of terrible lizards. So read on, and come back tomorrow for more! 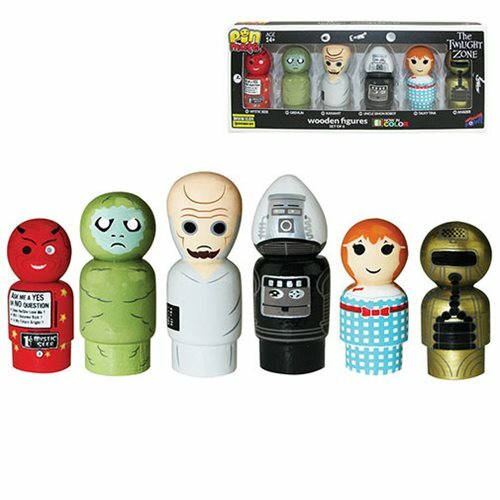 Ad: More Dexter and Batman Items - Convention Exclusives! 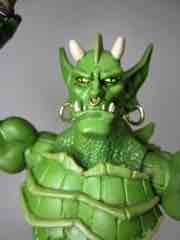 A Joker Jack in the Box features sculpting by Gentle Giant, and Dexter celebrates the killer show's 10th anniversary. Be sure to snag yours now! They're due in July. This week's 3DS offerings: Unholy Heights and Rubik's Cube. 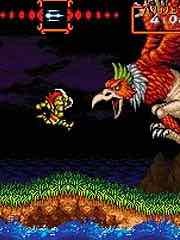 The New 3DS retro library has Super Ghouls 'n Ghosts from the Super NES. This week's batch of titles on the eShop: Educational Pack of Kids Games, SPLASHY DUCK, Star Sky 2, Rubik's Cube, and Blackjack 21. And Mighty No. 9. 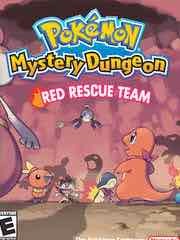 Up for the Nintendo Wii U retro library: Pok�mon Mystery Dungeon: Blue Rescue Team, Pok�mon Mystery Dungeon: Red Rescue Team, and Pok�mon Mystery Dungeon: Explorers of Sky from the GameBoy Advance. Robot, not row boat! 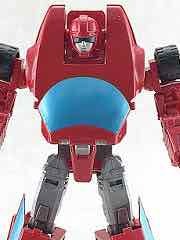 The Playskool Transformers Rescue Bots Deep Water Rescue High Tide is a large craft that transforms in seconds. So read on, and come back tomorrow for more! 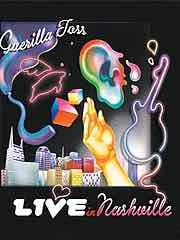 Via Feeding Tube Records: Guerilla Toss - Live in Nashville. This record is available now and there's a "concert edition" of 106 units, and a "trade edition" of 800 units. May as well get it if you're a fan, I found out about it and ordered it yesterday. I also strongly recommend the DFA Records release Eraser Stargazer. It ain't cheap - it's kinda short - but it's good. 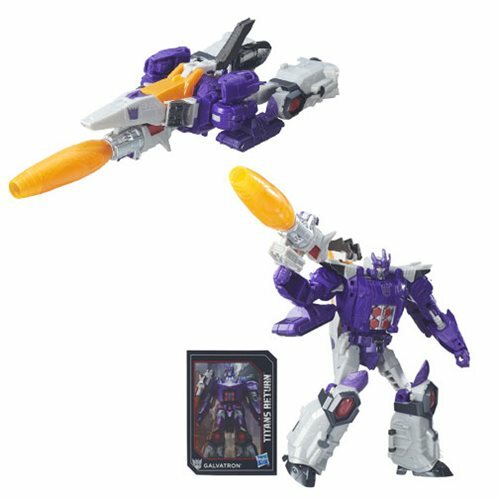 If you buy toys online, Titans Return Transformers Toys are shipping now. I got a batch of Titan Masters and Leaders over the weekend, and for you benefit I took the UPC from Terri-Bull around to find out what brick and mortar stores were charging. It did not scan at Kmart or Walmart, but Target's computers had them at $4.99. I'd say just order them online if you want some. Powermaster Optimus Prime is a beast. The truck mode is fantastic, and while the cab looks similar to Ultra Magnus it's entirely new. The proportions are different, and there's a seat for Apex inside - plus lots of weapons. Robot mode is big and awesome, but the base mode is a bit of a bore. It does not connect easily to Blaster's base mode in the configuration provided by the instruction manual. I love it. 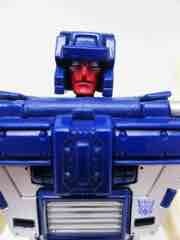 If you want red eyes for your Powermaster Optimus Prime, buy Loudmouth. He does the job. Blaster is a gem. Base mode is great - really great - and it makes a lot out of other 5mm toys if you have any. There are plenty of places to pose Titan Masters (sold separately) or plug in various weapons, so you'll have more fun with this one. You'd have more fun with rocket-firing parts or claws or something, but it looks nice on a shelf at least. It's just not much of a toy. Blaster's robot mode is nearly the exact size of the G1 original. Nightbeat is the least interesting in the first wave of little $5 head sets. The head mode is based on Nightbeat's toy - but most people are more familiar with his comic book incarnation, which used Siren's toy as a model. The tiny robot is fine, the drill tank can change into a jet easily, but the problem comes from plugging in the head into the drill tank mode. You have to use excessive force to do what the instructions show, and that's going to be a bad first impression for a lot of fans on an otherwise good toy line. If you buy Nightbeat, open him last. The weapon mode is fun but requires the brute force merger. Terri-Bull is a gem. The metallic blue plastic is very pretty, and the paint is generally good - the tank mode and jet mode are great. The small robot is the perfect driver for the tank, and he melts right in to the jet mode perfectly. If you buy only one, maybe it should be this one. The weapon mode is OK - the others are better. Crashabash is a treat. The tiny dragon turns into a little t-rex, with the robot merging inside as the jaw and arms to the dinosaur. It's quite clever. The dragon is decent enough, and the gun mode is basically the t-rex mode with a couple of rotations. It's fun, I like it. Loudmouth is also good - it has a little landspeeder that changes into a tank. The tank can be a gun. Everything seems to fit together well, with one of the best default vehicle modes and a pretty good alternate vehicle mode that reminds me of a tank from Revenge of the Sith a bit. 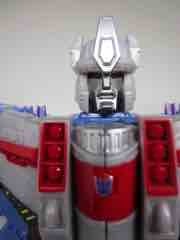 The robot head is nice, and serves as a great alternate head for Powermaster Optimus Prime - granting him red eyes. 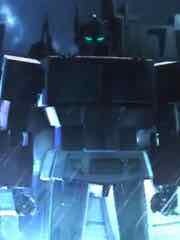 In short, I like what I've seen - I look forward to getting my deluxes and legends and talking about the Voyagers too! Here's a Galvatron gallery. Purple! The Remco Mel Appel Extraterrestrials Egroeg is a hollow figure that sold cheaply over 30 years ago. So read on, and come back tomorrow for more! Ad: Pre-order the The Twilight Zone Pin Mate Wooden Figure Set of 6 - Convention Exclusive now! Get them at the show, or online. 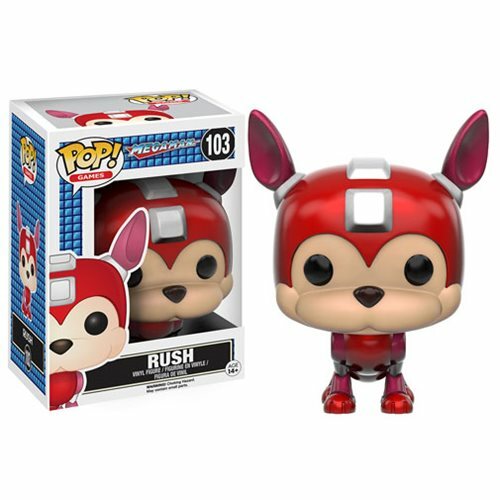 These are expected in July And so is Click here to see all of the exclusives! Smaller! 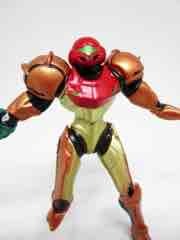 The Jakks Pacific World of Nintendo Samus Action Figure just started showing up, and comes complete with metallic paint. So read on, and come back tomorrow for more! Via many: Prelude to Transformers Combiner Wars. This is a motion comic - one of four parts before the actual animated thing debuts later. There's not much to it. 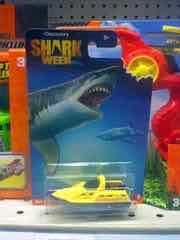 Via me trip to Toys R Us: Shark Week Matchbox Cars are shipping now. Now you too can live every week as if it were Shark Week. Five cars (or boats and subs) are out now, I've only seen them at Toys R Us but I do not know if they are exclusive. They're about one dollar each and have lovely packaging art. Ad: In stock now! 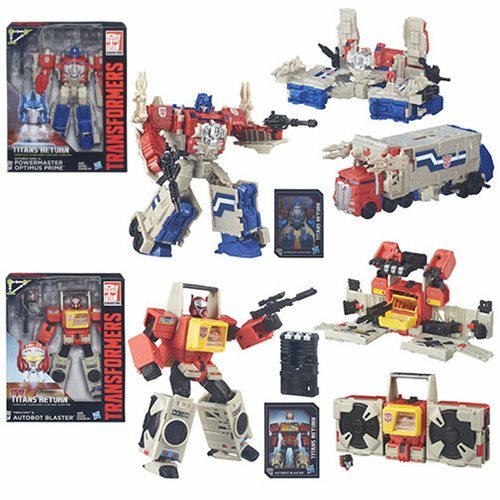 Get the Transformers Generations Titans Return Toys now! Deluxe, Voyager, Leader, Titan Masters, and more are up for grabs! 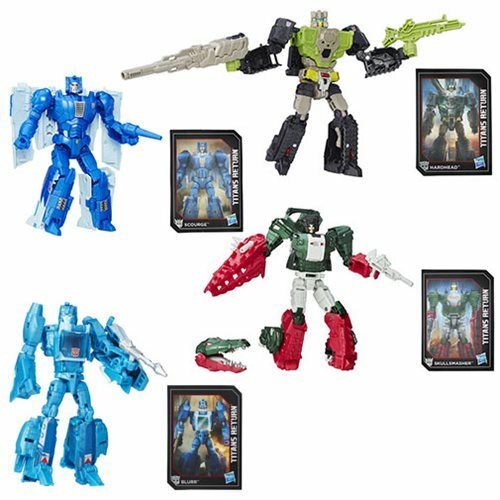 Also order Transformers Titans Return Titan Masters Waves 2 and 1 from Entertainment Earth! Most people haven't even seen wave 1 yet - so why not get both now? 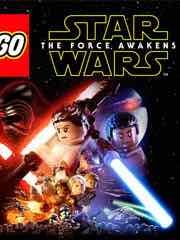 New to the Playstation 4 this week: Lego Star Wars: The Force Awakens, Castles, Full Mojo Rampage, Heart & Slash, Pharaonic, Prison Architect, The Technomancer, Resident Evil 5, Star Ocean: Integrity And Faithlessness, and Steredenn. 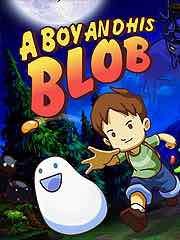 New to the Playstation 3 this week: A Boy And His Blob and Lego Star Wars: The Force Awakens. New to the PSP Vita this week: Zero Escape: Zero Time Dilemma, Adventures Of Mana, God Eater Resurrection, and Lego Star Wars: The Force Awakens. Four hands! The Four Horsemen Power Lords Ggrapptikk Grunt Action Figure is from a line that's on hiatus - possibly over - but is one of the nicer examples of what you can do with Glyos and a license if you're so inclined. So read on, and come back tomorrow for more! 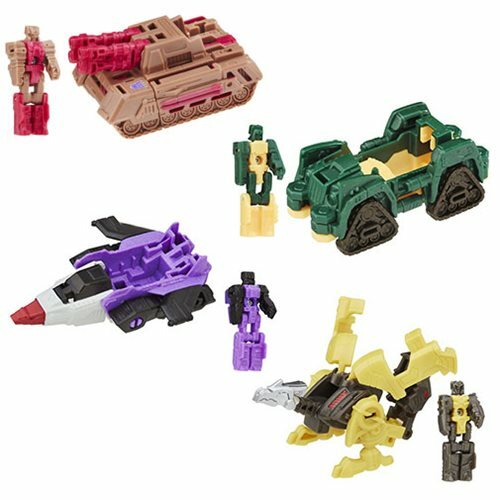 Ad: Get the Transformers Combiner Wars Generation 2 Bruticus Combaticons Boxed Set now! Six figures in one box can be yours if you order the latest boxed set today. 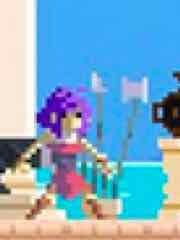 "Full Mojo Rampage is a rogue-like game that takes place within the confines of the Voodoo reality. In this realm only the most powerful rites and powers can provide a safeguard against evil. Dying is not the end, only the beginning to becoming a stronger voodoo soul! 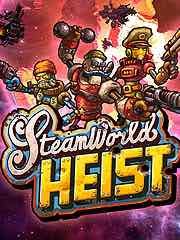 The game includes several multiplayer cooperative and competitive modes to play with friends." Also available: INSIDE, LEGO STAR WARS: The Force Awakens, Super Mutant Alien Assault, The Magic Circle: Gold Edition, Lost Sea, Ghostbusters Ultimate Game And Movie Bundle, , and Resident Evil 5.